Have you run out of dining dollars already? Haven't found time to make it to those free fitness classes at the rec yet? Just want to have fun on a Wednesday afternoon? Then Smoothie Bike is for you! 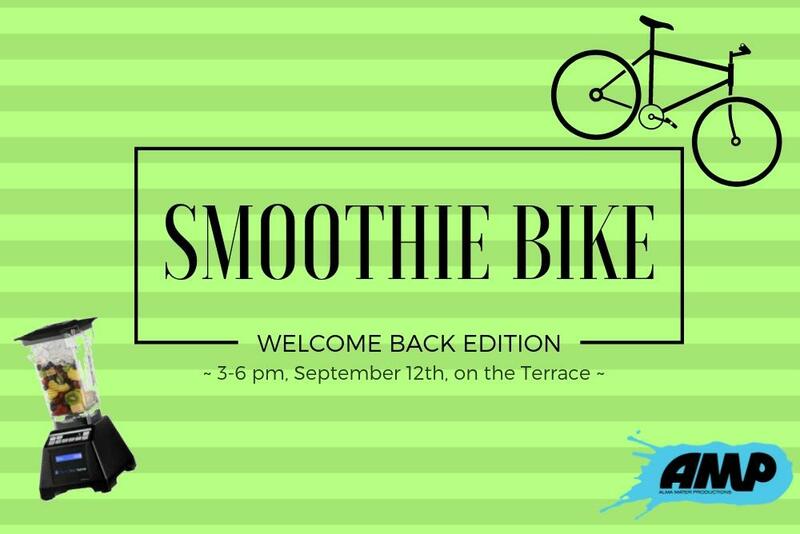 Join AMP on the Sadler Terrace on September 12th from 3-6 pm to pedal your way to your very own free smoothie! In the event of rain, the smoothie bike will be in Lodge 1.